Mary Alice Larimer, 81 of Adel formerly of Stuart passed away on Wednesday, November 28, 2018 at her home in Adel. Funeral services will be held at 11 A.M. on Monday, December 3rd at the Johnson Family Funeral Home in Stuart. Visitation will be held one hour prior to the services at the funeral home. Burial will be at South Oak Grove Cemetery. Luncheon and time of fellowship will follow the committal service at the Stuart-Mt. Vernon United Methodist Church. Memorial contributions may be made to the American Heart Association or Genesis Development, 2111 West Greene St., Adel, IA 50003. Online condolences may be left at www.johnsonfamilyfuneralhome.com. Mary was born on August 1, 1937 to Irvin and Sarah (Hensley) Foster in Randolph, Iowa. She attended high school in Farragut and graduated with the class of 1955, she later attended college for two years. Following college she taught school for two years. Mary was united in marriage to Milton Larimer in 1959 in Gravity, Iowa. To this union two sons were born: Rodney and Roger. The couple later settled in Stuart. Mary moved to Adel where she lived the last several years. Mary was a member of the Stuart-Mt. Vernon United Methodist Church and later the Adel United Methodist Church. She enjoyed fishing, camping, playing cards, bingo and dice with her friends at the Adel Manor. Mary was blessed with the relationships and friends she made at Genesis Development in Adel. She cherished time she was able to spend with friends going out to eat or just simply visiting. 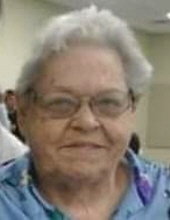 Her greatest enjoyment came from spending time with her family, especially her grandchildren and great-grandchildren. She was preceded in death by her parents; husband; and brother, Pete Abbott. She leaves behind her sons, Rodney (Kathy) Larimer of Stuart and Roger (Kerri) Larimer of Hartford; five grandchildren; 11 great-grandchildren and a host of extended family and friends that will miss her dearly. To send flowers or a remembrance gift to the family of Mary Alice Larimer, please visit our Tribute Store. "Email Address" would like to share the life celebration of Mary Alice Larimer. Click on the "link" to go to share a favorite memory or leave a condolence message for the family.